For centuries in Japan, the lineage of unique bugei/bujutsu ryu have been closely guarded and handed down from father to son. The transmission is given to the eldest male child of the family whenever feasible. The one so chosen begins training at an early age, not only in the techniques and thinking of the ryu, but also in the day-to-day chores of managing and administering the dojo. Much of the actual learning comes about through observing the father in addition to direct instruction on a step-by-step basis. Senior ryu instructors also take a direct hand in guiding “Waka Sensei” (young teacher), as he would be addressed. This process lives on today in Hakkoryu Jujutsu. From his teenage years onward, he would assist his father with Jikiden training at Hombu Dojo. He also traveled extensively around Japan, assisting his father in teaching Hakkoryu Jujutsu and Hakkoryu Koho Shiatsu. For a number of years, he was Chief Clinician in charge of shiatsu clinics both in Saitama City and Tokyo. Outside of Hakkoryu Jujutsu and Hakkoryu Koho Shiatsu, his formal education culminated with his graduation in 1971 from the Daitobunka University in Tokyo with a degree in Economic Science and in 1973 with a certificate from Daitobunka’s Specialized Medical School in bone setting. On April 6, 1986, he succeeded his father during his “Shumei Shiki” (“Iemoto” or Name Taking Ceremony) at the Musashi Ichinomiya Hikawa Jinja. 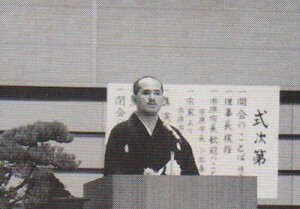 There, upon his father’s retirement, he took the name “Ryuho” and became the Hakkoryu Nidai Soke (Second Generation Head). The Hikawa Jinja, a Shinto Shrine located in Saitama City, Saitama Prefecture, was said to have been built over 2400 years ago and is designated an “Ichinomiya” (Shrine of the First Rank). Currently there are 290 Hikawa Jinja in Japan. Nidai Soke is well known for his ability in healing patients through Hakkoryu Koho Shiatsu. On numerous occasions, he has appeared on national television as well as in popular publications concerning medicine and health. He gives basic and advanced seminars on Hakkoryu Koho Shiatsu at Hombu Dojo and around Japan and treats difficult patients with special conditions, often traveling to visit the homes of those who are bedridden. Aside from Hakkoryu Jujutsu and Hakkoryu Koho Shiatsu, Nidai Soke is very highly skilled in the Yakumo Mansei-en family school of bonsai. This family system was founded around early Meiji (1868). His teacher’s name is Mr. Hideo Katou. 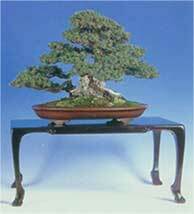 Mr. Katou, who is now in his eighties, has been a Director and Executive Judge of the Japan Bonsai Association and is currently serving his appointment to provide and care for the bonsai on display in the Imperial Palace. When his father retired, Nidai Soke appointed a new set of personal counselors who have assisted him in many ways to improve the way Hakkoryu is overseen and administered. 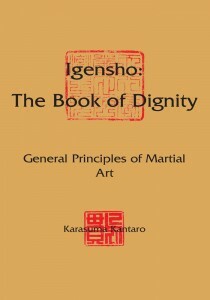 One of some importance is the enforcement of rules and regulations to which all Hakkoryu Deshi and Shihan have been and are bound. Like his father before him, he holds the post of Vice President of the Association for the Prevention of Crimes in Saitama City. Do you have patience to wait till your mud settles and the water is clear? Can you remain unmoving till the right action arises by itself?